As bad as it can be to walk out of a restaurant or shopping mall to the alarming sight of your vehicle being towed away, it can be even worse to learn that your car isn’t simply parked in the wrong place — it’s being repossessed for defaulting on your auto loan. And it only goes downhill from there. A defaulted auto loan will be reported to the consumer credit bureaus, where it will live on your credit reports for up to seven years. That negative mark can also weigh down your credit score by dozens of points, which can mean difficulty obtaining new credit (and higher interest rates if you do). While you may have an option for early removal in credit repair, chances are you’ll need to try other credit-building solutions while the default ages off your reports. By the time the default from a repossession is reported to the credit bureaus, your creditor has likely already taken possession of the vehicle and may even have sold it. At this point, negotiating with your creditor is generally no longer an option, and there isn’t much you can do to have the creditor remove the negative mark from your credit reports. This leaves credit repair as the only potential method for removing the repo from your credit report before its expiration date. While credit repair is hardly a guarantee, filing a credit report dispute may allow you to remove an erroneous or unsubstantiated repossession mark from your credit report. Credit disputes can be filed yourself, though an experienced credit repair company may have more success. Perhaps the most important part of obtaining credit repair success is understanding what it can do — and what it can’t do. The Fair Credit Reporting Act (FCRA) gives you the right to fair and accurate credit reports, which comes with the ability to dispute credit report items that are fraudulent, inaccurate, outdated, or unsubstantiated (i.e., the creditor can’t prove the debt belongs to you). 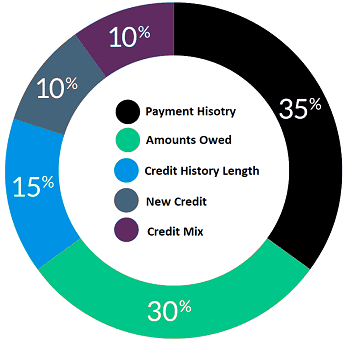 When a credit report dispute is filed, the credit bureau has 30 days to investigate the dispute. During this time they’ll typically contact the party that furnished the information, which would be the auto loan lender in most cases of repossession. If the lender fails to show that you were responsible for the loan and that you truly defaulted on the loan, the credit bureau will remove the account from your credit reports. If the lender can show that the default is fairly and accurately reported, however, then the credit bureau is under no obligation to remove the account — and it won’t. When credit repair isn’t an option — or it’s already failed to result in a removal — the only real thing to do is wait. The majority of negative credit report items, including defaults and repossessions, should naturally fall off your credit report after seven years (some bankruptcies may remain on your reports as long as 10 years). That said, the negative impact to your credit score from a repo on your credit reports won’t necessarily last the full seven years. Credit score models typically give more weight to the more recent items on your credit report, with older items factoring into your credit score calculations less as they age. The best way to minimize the negative impacts of a repossession on your credit is to ensure the rest of your credit profile looks as good as possible. 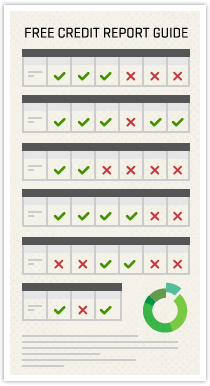 Defaulted loans (and, hence, repossessions) fall under the payment history portion of your FICO credit score. Payment history is 35% of your score, and the more positive payment history you can build, the less the repo will drag down that factor. You should also work on the other major factors of your credit score to help balance out a less-than-stellar payment history. This includes your credit utilization and total debt, credit history length, number of new credit accounts, and the diversity of your credit mix. Keep low balances on your credit cards and avoid opening superfluous credit accounts. 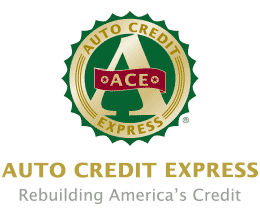 With hard work and diligence, you can rebuild your credit score after the damage of a repossession from a defaulted auto loan. But while your score is in the process of rebounding, finding a new auto loan can be a challenge. Few major banks will want to take on the risk that you will default a second time, so they’ll typically want at least two years of clean payment history before they’ll consider your application. If you can’t wait until your default ages or you’ve built enough positive payment history to raise your credit score, then you’ll likely need to consider second-chance auto financing. Second-chance auto lenders cater to subprime borrowers and tend to have flexible credit score requirements. Using an online lending network, like our options below, can often increase your chances of finding an understanding lender. Although second-chance auto loans are out there, even subprime lenders may want you to wait at least a few months after your repossession before they’ll offer you a loan. You will also need to meet the lender’s specific income requirements, typically at least $1,000 a month, though it could be much higher. Overall, you’ll often be better off if you can wait a few years after your default before looking for another auto loan. That’s because subprime auto loans tend to have very high interest rates and may also come with additional fees, making them significantly more expensive over the long term than the loan you could potentially obtain with better credit. Watching your car be hauled away because you defaulted on your auto loan can be devastating — in more ways than one. The credit damage from a repossession can last for years, dragging down your credit score and making it difficult to qualify for new credit. But even if you need to wait the full seven years to say goodbye to a repo on your credit report, seven years is not forever. Your credit will recover. Of course, the best thing to do is to prevent your loan from defaulting in the first place. If you’re at risk of falling behind on your auto loan payments, contact your lender right away. Defaults aren’t profitable for anyone involved, and it’s in your lender’s best interest to help you find a way to repay your debt — but they can do a lot more to help you if you contact them before you start making late payments.